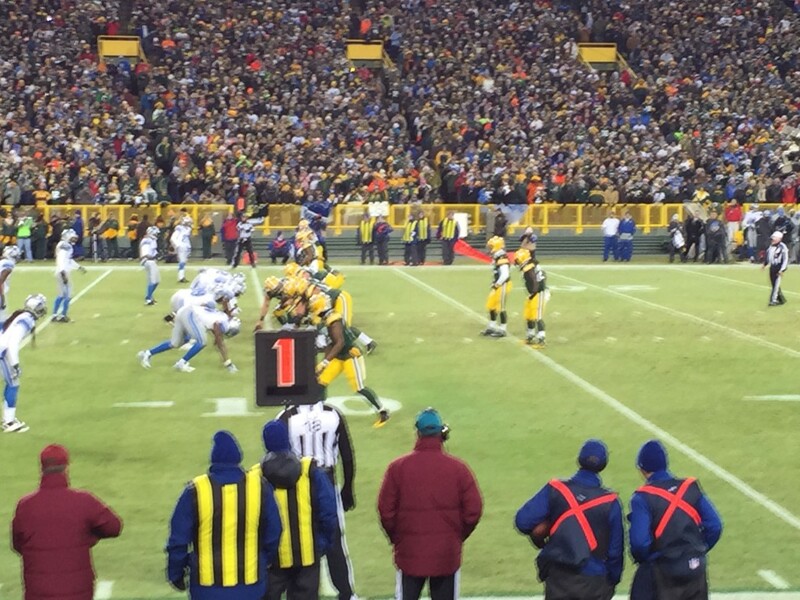 What NFL Ticket and Hotel Package is Right for You? When putting together our packages for NFL games we begin with a simple question for the ticket consumer. On our contact form we ask the customer whether he or she would like to their tickets and hotel to be from the “value;” “moderate;” or “luxury” category. This post will help you clarify what those terms mean and how best to determine what seats are right for you. When it comes to hotels, the answer is simple. All of our hotels are clean, safe, and high quality major branded properties (and luxury boutique hotels). Our “value” hotels are 2.5 and 3 star properties including brands such as Best Western, La Quinta, Comfort Inn, and the like. Our “moderate” hotels are 3 and 3.5 star properties such as Holiday Inn Express, Hampton Inn, Crowne Plaza, Sheraton, Hilton and others (depending on what is near the venue you are visiting). Our “luxury” hotels are luxury properties that range between 4 and 5 stars, and include Omni, Four Seasons, Hyatt, and in some major cities Sheraton and Hilton properties (and the like). Before reviewing the categories of tickets we offer, we would like to tell you that a different category of package can be right for the same consumer in different circumstances. For example, when a game is highly anticipated or long-sold out, it may be a “luxury” to take the trip at all. Therefore, by sitting in seats that are slightly less expensive that still provide an amazing view, the trip at all may become possible. Further, almost none of the seats that we offer our clients are in the “last row” of the venue or are what you would consider “nosebleed” seats. We strive to acquire the best possible tickets within the category, even if it means sacrificing our own bottom line! As exemplified by the image above, value category tickets are the least expensive tickets that we include in our packages. 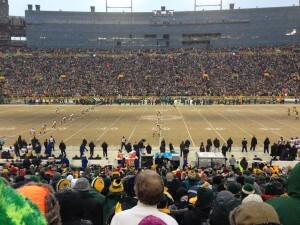 Depending on the stadium, value tickets are commonly located in the upper end zone or upper corner levels of the stadium. Although many customers are scared off by relatively less expensive seats for fear that they will be in the “nosebleed section,” in reality the venues work very hard to ensure that all seats have an excellent view of the action. 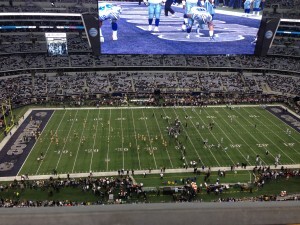 Indeed, in many stadiums the end zone view provides one of the few full field views of all of the entire game. Combine that with the fact that there are now enormous 4k screens at each end of the field and you are set up for a fun-filled afternoon that costs far less than the categories of seats that follow. Value seats are great for the client seeking to explore a new stadium or a popular game without breaking the bank! The moderate tickets we include in our packages are either lower Field or Corner seats or high quality Upper Sideline seats between the 20 yard lines. 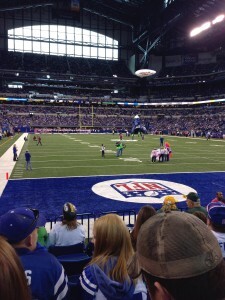 We always strive to get the client as close to the action as possible. The moderate category costs more than “value” tickets, but less than “luxury.” Moderate is a great option for a client who is seeking to be a little lower and closer to the action (or a view between the 20’s), yet still does not want to overspend on tickets! 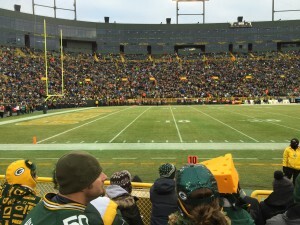 We frequently get requests to sit on a particular team’s sideline for an NFL game. 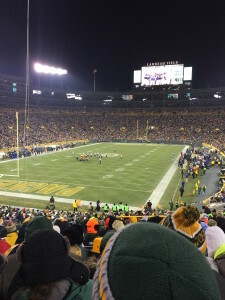 Although we are happy to try and accommodate any request, we tend to discourage overspending to sit on a particular side at an NFL game since being on one sideline or the other does not have the same distinction that it does at a college football game. In the NFL there are no designated “visitor” sections or areas, and tickets on the “home” sideline are frequently much more expensive. The only thing you will see by sitting on the “home” or “away” sideline is the back of the players. Therefore, from a cost-benefit perspective we recommend choosing the best available seats, regardless of sideline! We strongly encourage you to take advantage of our vast NFL stadium knowledge base and network of season ticket holders and resources at the clubs themselves, as well as our work with destination hotels and third parties offering substantial discounts over everyday rates and ticket prices. When planning your next trip to a football game we invite you to contact us for a detailed quote including a hotel and tickets based on your need!